The new South Branch library open for business. 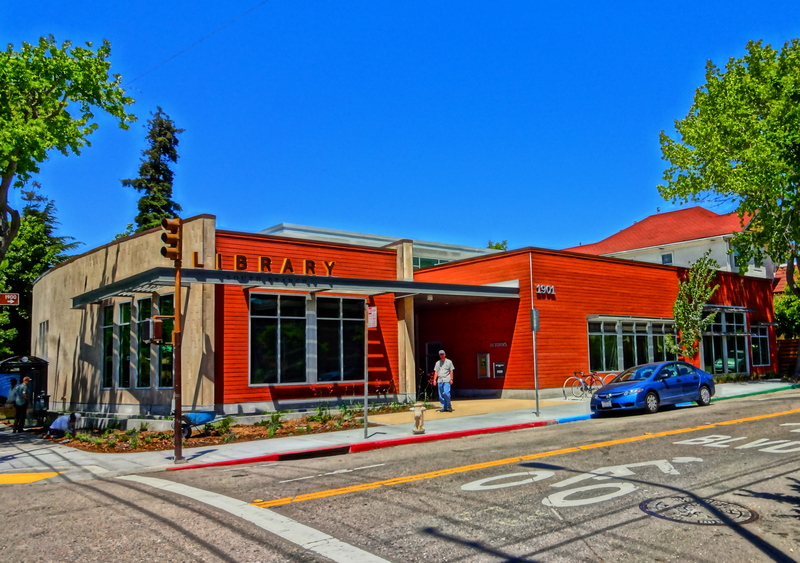 The big news in South Berkeley this past weekend was the grand reopening of the South Branch of the Berkeley Public Library, located at Russell and MLK. The ceremonies occurred Sat. May 11, with the first day of ordinary business taking place the following Monday (May 13). I arrived that Monday to inspect the premises and peruse the contents of the Books on CD shelf, seeking “reading” material to bring on my day job. I may have been the first patron to sample the merchandise because there was an unusually wide assortment of quality titles from which to choose. 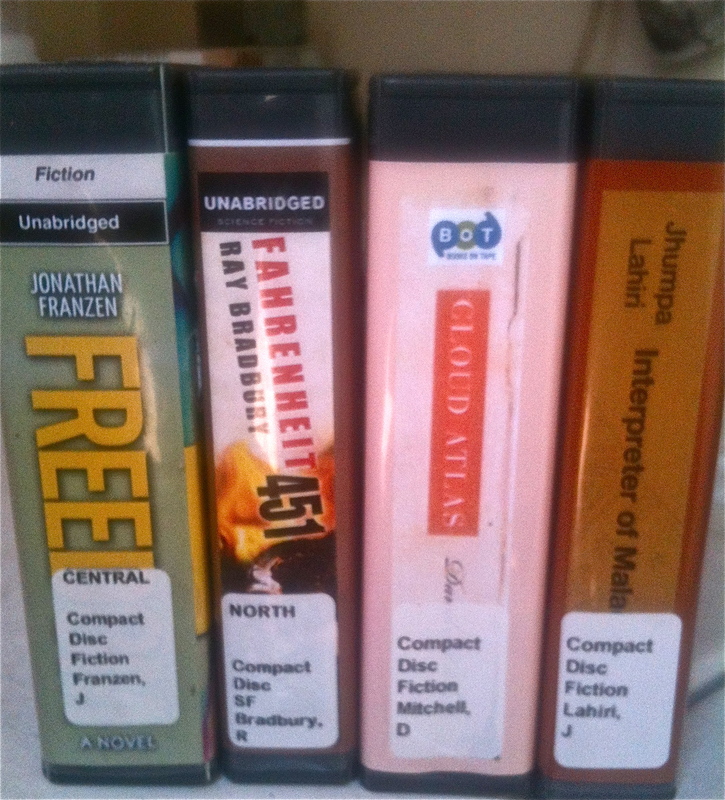 These books on CD will serve me well on the long drives to San Jose. The new building itself features a much more open plan than its predecessor and seems ideal to serve South Berkeley in the digital era. The wonderful Tool Lending Library is back as well. 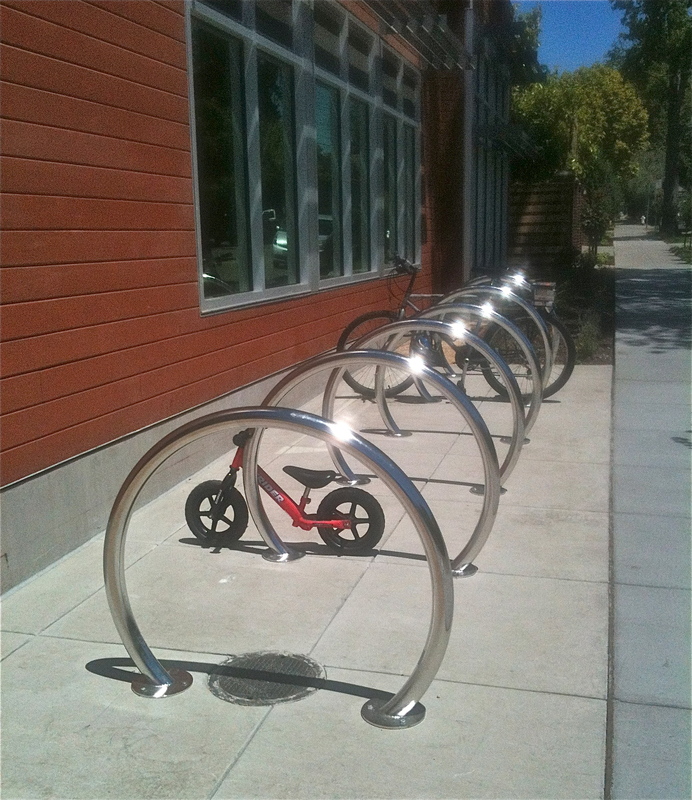 Nothing like the gleam of brand new bike racks. ← Modern Art Installation? 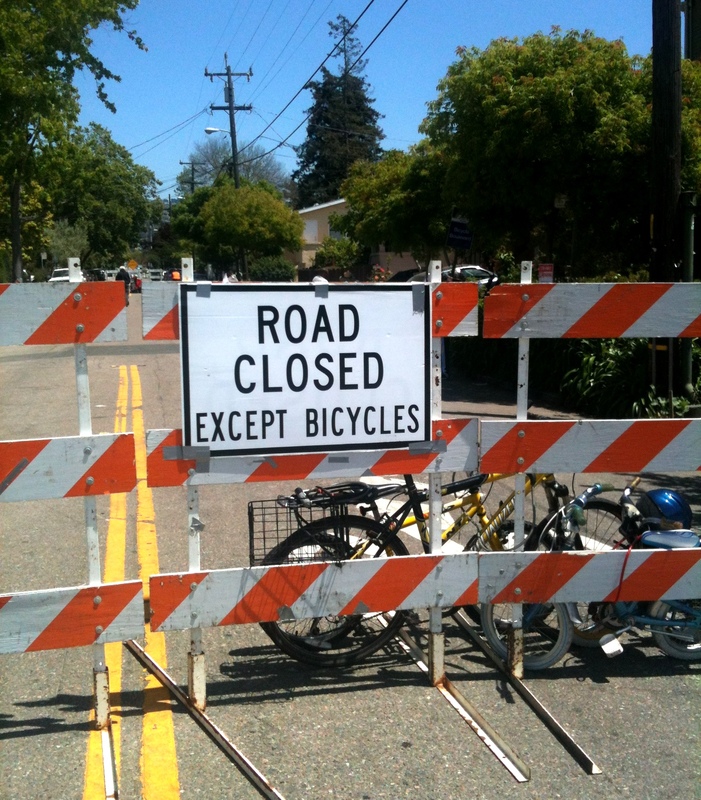 Nope, just Telegraph Ave. between Russell and Howe.